I don't really see a difference. 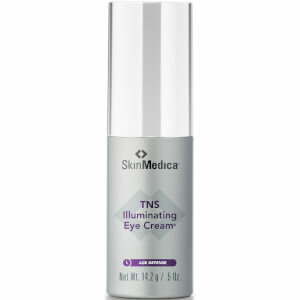 Skinmedica's other eye products work better than this serum. I like this eye serum, i prefer a serum over a lotion, so this is great! It's been almost 3 months since I started using this and I really do like it. Goes on smooth and feels nice. Does help with my puffy under eyes. My fine lines look smoother. Just started using this the other day. I like it a lot so far. I use it on clean skin then apply it as directed. I also use the A.G.E eye cream after. Together they are not too heavy at all. Eye skin feels smooth. Sure hoping it helps with my puffy lower lids and dark circles. I am 60 years old and my eyes have always been puffy. With age, I also have a bit of loose skin. 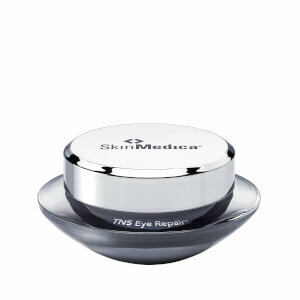 This is a perfect product for under the eyes if you are experiencing sagginess and wrinkles under the eyes. I highly recommend it to ladies of all ages. I am in my twenties, so I don't have deep-set under eye wrinkles (yet), but I am a full-time student and I don't get enough sleep so I was looking for a product to help with the bags under my eyes. My dermatologist's nurse recommended this eye serum and I will probably never stop using it. I rarely have to use concealer anymore because it has really transformed the skin under my eyes. Highly recommend!! I've only been using this for a few weeks but I'm totally impressed. Hope to get further results with more time. My eyes are quite sensitive, but this product has not irritated them. It is hydrating and absorbs quite well. Love everything SkinMedica! 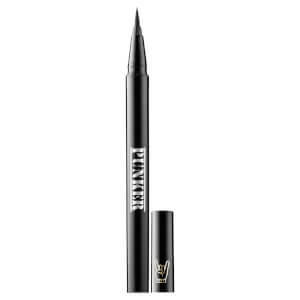 I was looking for an under eye serum that wouldn't break the bank and bought this based on the reviews. It adds hydration and I add eye cream over the serum. I only need a tiny bit for both eyes and I've noticed an improvement in the creepiness under my eyes. I'm 58 and my skin is in good shape, just needed an extra boost, which this serum has given my under eye area. Expect to continue using.